How I Gained It: I began struggling with my weight during my first pregnancy about 30 years ago. By the time I reached my early 30s, my weight had spiraled out of control -- mostly because of a change in my work environment. I gained 80 pounds in a really short time. When I had a job that was mostly male-oriented, I'd go for a workout during lunch or eat something quick and fairly healthy. Then I started working for a large corporation and there were tons of women to socialize with. We had a cafeteria, and we'd bond over breakfast and lunch and breaks. It was peer pressure, in a way. I used food as a crutch, and I began to feel very unattractive and unlovable. And the worse I felt, the more I turned to food for comfort. Breaking Point: In 2010, I really began to worry about my health. My mom had suffered a stroke in her early 40s, so I knew that could be a possibility. I also didn't like the type of role model I was being for my daughters, who were now in their 20s. My oldest daughter has struggled with her weight as well, so I became very regretful that I hadn't set a fair example for her. That really spurred me to do something about it. How I Lost It: I decided to try Slimming World, which I'd read about in a local magazine. When they said I could have all the potatoes and rice I wanted, I knew I would love it! Nothing is banned outright, so little indulgences from time to time are allowed, which made sense to me. I've learned that it's not some revolutionary, rocket-science formula, but if you fill up on fruits and vegetables and add in lean meats and pasta and starches, you're going to fill up faster. It's really learning how to balance your food and eat tasty yet healthy meals. Before losing weight on this plan, I felt like I was never going to get below 200 pounds. 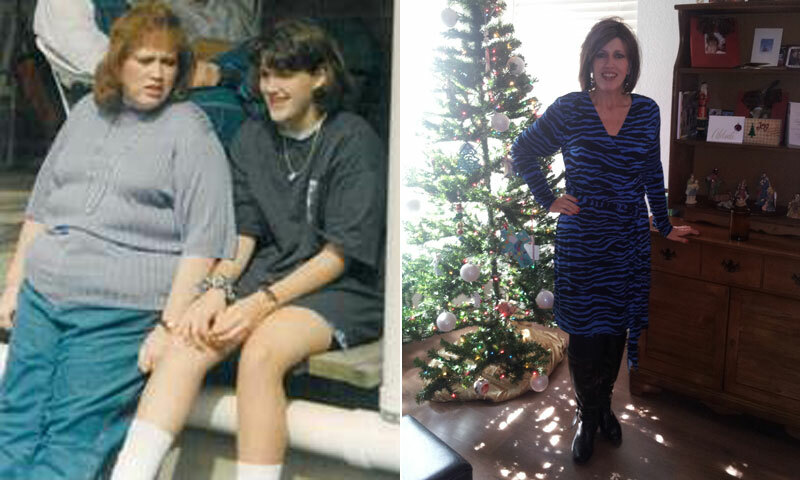 Once I broke that 200-pound mark -- I had not been below it for many, many years -- it was a real milestone. I knew that nothing was going to stop me from achieving my target. My daughter has since lost 41 pounds with Slimming World as well, so I feel like my original goal of inspiring her to live a healthier lifestyle is truly working. I pray that her children will never have to battle with their weight the way she and I have. And my husband has also lost 40 pounds. We've become much more active, too, taking part in road races and even finishing a half-marathon. I don't pretend to be a perfect eater. After my husband and I returned from a cruise, I realized that I'd gained a pound or two on the trip. Life happens, and it's okay! It's all about not letting those two pounds beat you. And as soon as I got back, before slipping back into old habits, I was right back on track. After all, it's a lot easier to lose two pounds than 112! When I look back on my decades-long struggle with my weight, I feel that I've emerged as a brand-new person. Even now, when I look in the mirror, it's hard to believe that's who I am now. I feel great, and I'm determined to never go back.